Are you starting to look for rent to own houses in Fort Lauderdale Florida? Our company, Florida Rent To Own Homes, is registered with the state of Florida which you can verify online… and you can find our company listed on many online business directories where it’ll show all of our contact information. If you’re working with an individual (a person, not a company)… when you see the “owner”… if you feel anything is off at all… don’t be afraid to ask to see their drivers license for proof of their name and address… and write down their license plate number of their car before you leave. In conclusion, it is up to you to be diligent enough to avoid being scammed. They say when the deal is too sweet, think twice. Don’t rush into sealing deals before giving them a second thought. Hopefully these tips will help you avoid rent to own home scams in Fort Lauderdale Florida and arm you with a new sense of confidence when you’re out there looking for your next house! 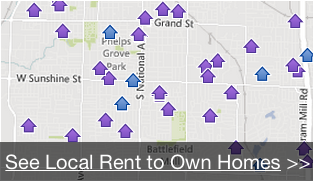 Looking For A Reputable Rent To Own House In Fort Lauderdale Florida? See Our Available Properties Below! We at Florida Rent To Own Homes are one of the Fort Lauderdale Florida Florida area’s leading rent to own house experts. Buyers: 954-247-4285 or email us on our Contact Page. Plus, see the Fort Lauderdale Florida rent to own houses we have available and get on our Early Alert Email List to see new rent to own houses as they become available.